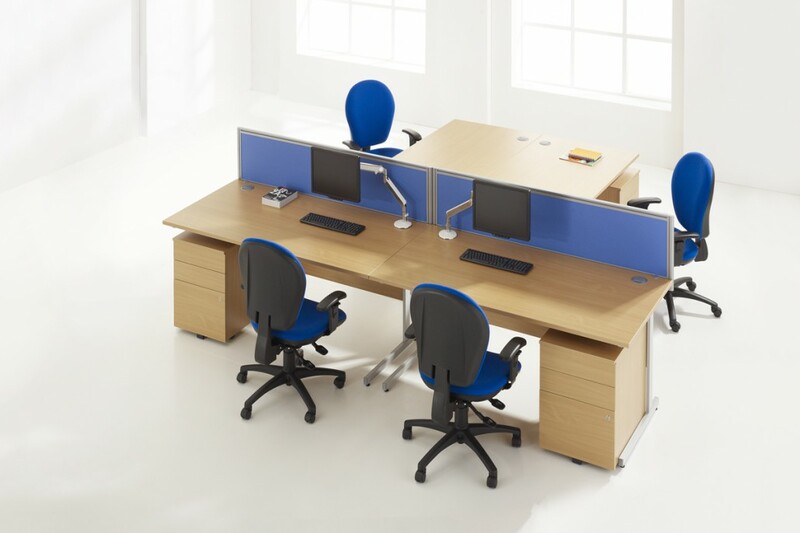 Our range of desk systems meet the needs of the evolving working environment. A selection is available for you to view online or feel free to book an appointment to view our collection in one of our show rooms. Intrigue is an attractive beam and post system combining flexibility and utility. The beam provides rigidity and the multi-function post allows easy addition of storage and shelving. At the heart of Crossover is a pair of horizontal beams which provide a robust structure and a continuous fixing method for all furniture elements. 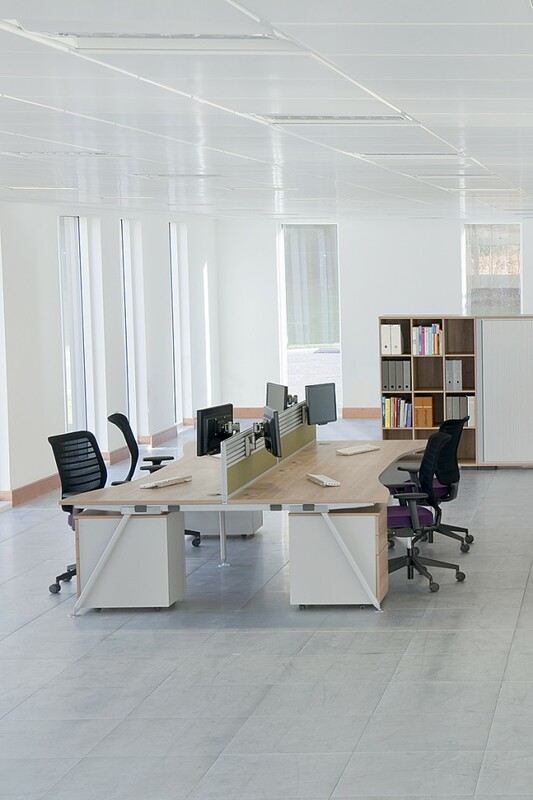 Legs, screens, wire management, work surfaces and accessories can be attached at any point along the beams regardless of the desk module, therefore reducing the need for additional component parts. The flexibility designed into the system allows Core to provide a comprehensive range of different applications. 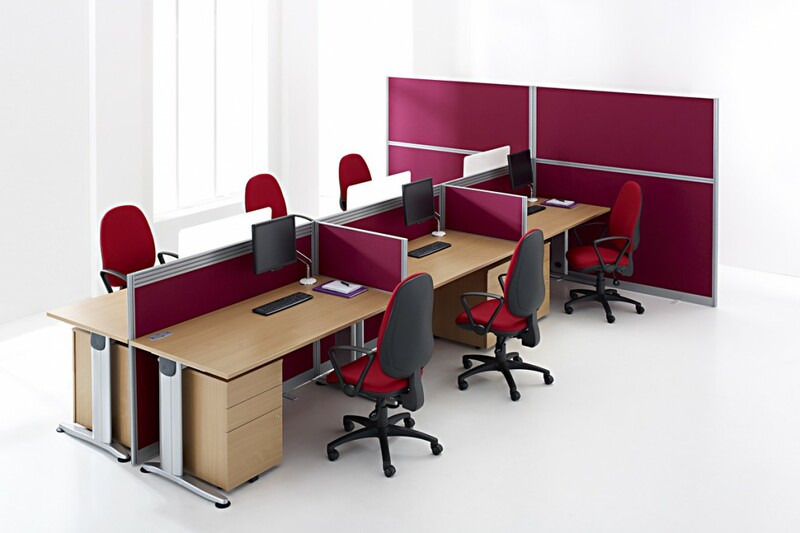 Core is available as a four leg version, cantilever frame or continuous bench. Using simple, cost effective, flexible components the legs can be shared as necessary. 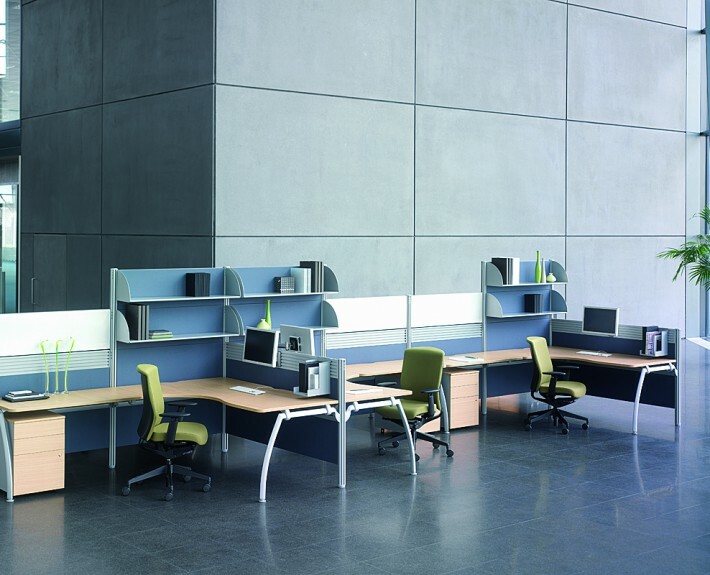 Ten is based on a system of telescopic beams for both the primary and return work surfaces. 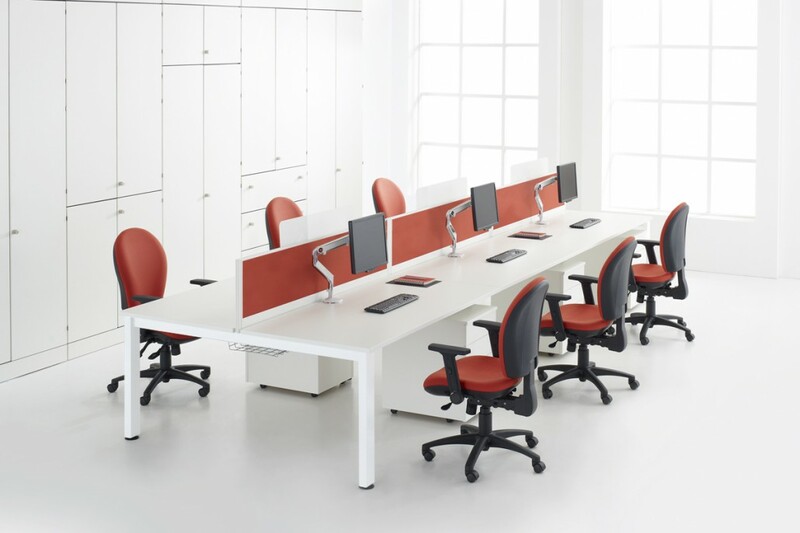 With the additional ability to share legs and minimise components, Ten is a very economical solution. Installation is simple, as is reconfiguration, should it be required. Power blocks can be fitted within the beam itself, or outside the beam supported by power mounted plates. 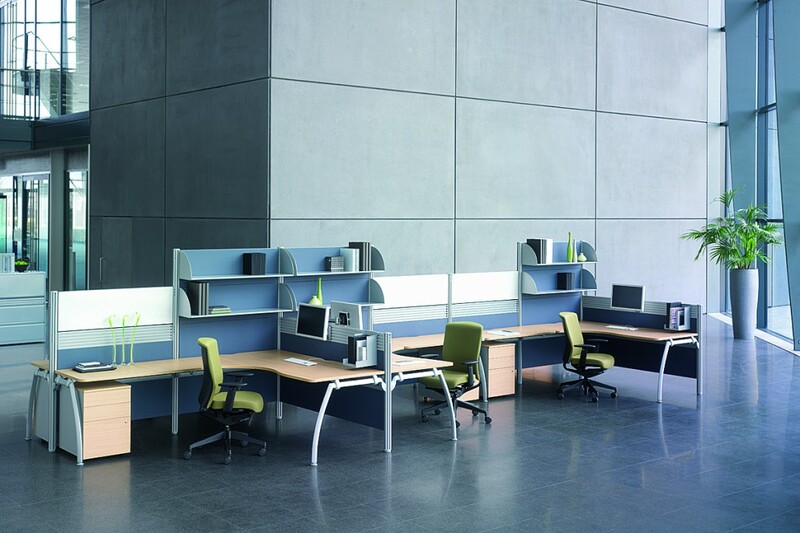 Freeway bench desk offers a simple yet practical working solution for the modern everyday office. This versatile range gives a strong clean image in a crisp design which delivers intelligent results. Incorporating fly-over tops with wire management portholes and complementary storage pedestals. 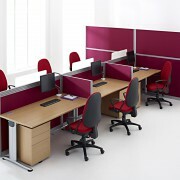 Additional meeting room tables are available from the product range. Available in oak, maple and steamed beech and finished with silver metalwork.